Iowa Gov. Terry Branstad has announced that he is extending the State of Disaster Emergency in response to the avian flu outbreak through Aug. 30. This is the third extension the governor has made to the original disaster proclamation. The current disaster proclamation would have expired on July 31 without an extension from the governor. • Activates the disaster response and recovery aspect of the Iowa Homeland Security and Emergency Management Department’s (HSEMD) Iowa Emergency Response Plan. Eliminate the disease in those disaster counties where it has been found and lessen the risk of this disease spreading to our state as a whole. • Temporarily authorizes the Iowa HSEMD, the Iowa Department of Transportation (DOT), the Iowa Department of Public Safety (DPS), the Iowa Department of Natural Resources (DNR), Iowa Department of Public Health (IDPH), other state agencies, and local law enforcement agencies and private contractors employed by the same to remove and/or dispose of live animals and animal carcasses on publicly or privately owned land when those live animals and/or carcasses threaten public health or safety. • Authorizes the Iowa HSEMD, the Iowa DOT, the Iowa DPS, the Iowa DNR, IDPH, other state agencies, and local law enforcement agencies to implement stop movement and stop loading restrictions and other control zone measures as are reasonably deemed necessary, including establishing buffer zones, checkpoints, and cleaning and disinfecting operations at checkpoints and borders surrounding any quarantine areas established by the IDALS or at any other location in the state of Iowa, in order to stop the spread of this contagious disease. • Authorizes state agencies to assist the IDALS in disinfection, depopulation, and livestock carcass disposal efforts. 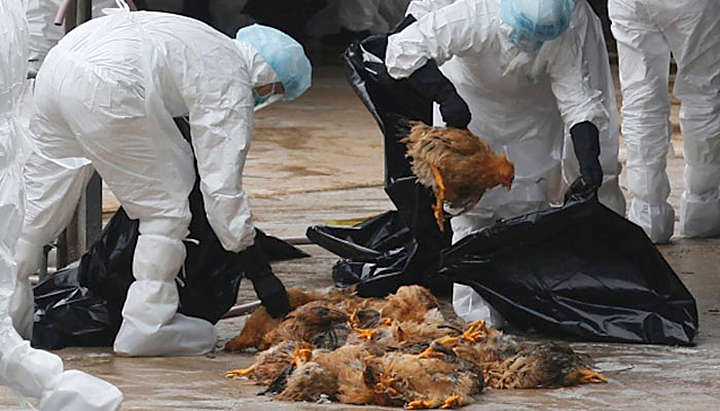 • Temporarily waives restrictions to allow for the timely and efficient disposal of poultry carcasses. • Temporarily suspends the regulatory provisions pertaining to hours of service for commercial vehicle drivers hauling poultry carcasses infected with or exposed to highly pathogenic avian influenza or while hauling loads otherwise related to the response to this disaster during its duration, subject to certain conditions outlined in the disaster proclamation.